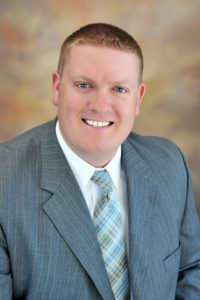 We are excited to have Graig Beckstrand grow with our Rural Mutual team as a District Sales Manager. Graig has been a Rural Mutual Insurance Agent in South East Wisconsin for the past 10 years and has 14 years of insurance field experience. He works with our agents directly. Graig resides in Elkhorn and is an avid golfer and basketball coach at youth and high school levels. He is also a Packers and Badgers fan. Where’s your favorite place in the world? San Francisco. I’ve been to the city twice and would go back at a moment’s notice. Congratulations, Graig. Rural Mutual is happy to have your experience and expertise on our team! Want to work for Rural Mutual? We are hiring. Click here to learn more and apply online to work at Madison’s Best Places to Work.